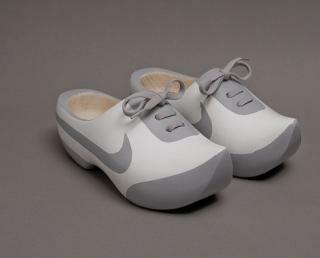 Granted, I may have had a taste bypass but I’m loving these Nike painted cloggs created by Johnny Kelly for Nike78. 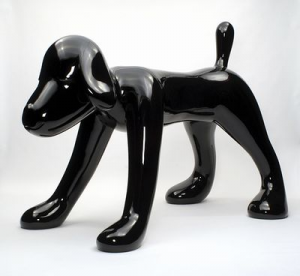 The world contemporary art fair scene is big business, HUGE in fact. The key fairs generate the lion’s share of a gallery’s annual revenue. So here we have it, ‘Viewing in Private’…what looks like a strong format for an online only art fair. Certainly they’ve attracted the most prestigious galleries from all corners of the art-loving earth, and therefore the most revered artists. But will it be a success? It’s good to see the art world finally catching up with modern tech. The optimum digital display of art is something that has alluded the contemporary art world. Personally, I think this comes from an unwillingness to communicate with a broader audience and a lack of strategic digital expertise in the art world. I would love to see more of this calculated experimenting going on. The fair ends at the end of this month. Success or not? The jury’s out. Lets hope the organisers keep developing it. Hats off to the folk at Somerset House, they’re fashion alignment strategy has been uber smart and they’ve successfully carved out a niche for themselves. London cultural programming is rich & varied but Somerset House often surprise and never disappoint. 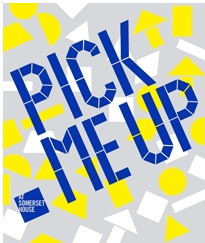 I’m already looking forward to this year’s Pick Me Up graphic design event. A great day out!